Our goal is to help everyone communicate to their greatest potential and find flexible hearing solutions that work for your lifestyle. As a nonprofit that has served the local community since 1967, you can be confident that we have your best interests at heart. Even better, choosing CSHC as your hearing healthcare provider supports our community programs to enhance the lives of thousands of individuals each year. I was told nothing could be done for my hearing loss until I found Charlotte Speech and Hearing Center. Family members were complaining non-stop about my hearing. I was fit with two new digital hearing aids that changed my life. I can hear at church and understand my grandchildren. Thank you Charlotte Speech and Hearing for everything. At CSHC we offer our patients the opportunity to take up to a week trial for their recommended device, prior to ANY payment. This allows our patients to be confident in their treatment plan and choice of instrument before making an investment in their hearing health. This unique community program offers steep discounts on digital hearing aids from multiple levels of technology and multiple manufacturers for those who qualify (based on household income). 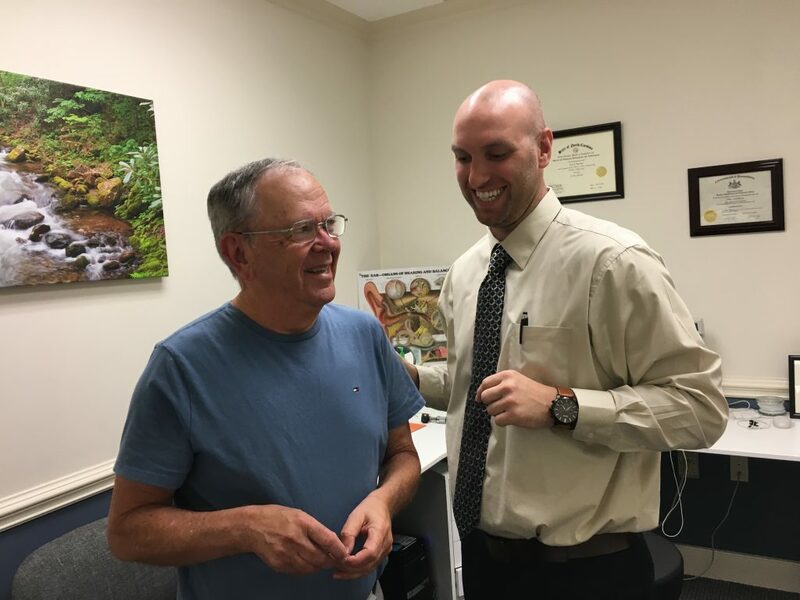 Many of our patients drive over 100 miles to take advantage of this program to obtain brand new, digital and programmable hearing aids at a price they can afford. Hearing aids purchased through this program still include a one-year warranty and thorough after-care services. There are two main components, verification and after-care services, that ensure a hearing aid fit is successful. Our speech mapping process and thorough after-care services are guided by best practices in hearing healthcare and our ultimate goal: your satisfaction and improved quality of life. Our 96% patient satisfaction rate is a testament to our services and to the skill and dedication of our providers. Aural Rehabilitation Services are provided with every hearing aid purchased. Everyone has different listening needs and experiences; we develop a customized program to help each individual maximize their hearing ability. Just like any piece of technology, hearing aids need service or maintenance appointments. All of our hearing aids come with at least a one year warranty. The warranty allows you to have peace of mind knowing that anything that happens to the device will be covered, including both loss & damage. In the neighborhood? Our hearing repair laboratory can repair most hearing aid brands and models. Ask us about our maintenance plans and extended warranty services. At CSHC we provide a variety of hearing-related products that can enhance your communication experience and protect your hearing. We offer manufacturer recommended batteries for all hearing aid batteries sizes (#10 Yellow, #312 Brown, #13 Orange and #675 Blue). All batteries purchased have at least a 2 year expiration date giving you peace of mind knowing that they are the freshest batteries. Ask us about our battery savings program. Many people recovering from ear infections or ear surgery must keep their ears dry, that is why we offer custom made swim molds. A perfect solution for those patients who need to keep moisture out of their ear canal. Ideal for bathing, showering, or swimming these custom made molds will help. Also available as floatables. Whether you are taking control of your music on stage or just want to block out unwanted noise while listening to your own music on your MP3 player, we offer custom made musician plugs for all music lovers. Everybody has a different shape and size ear canal that is why we offer custom made hearing protection. Whether you are cutting the grass, going to a concert, or work in a noisy environment it is always important to preserve your hearing. Shooting Protection-We also provide custom ear plugs for shooting. Designed for hunting and shooting, the device will allow you to hear all the noises in the area until it is time to shoot. Upon indicating a loud noise, an acoustic value is closed dampening the gun shot. We offer Bluetooth enabled hearing aids that can be wirelessly connected to televisions, cell phones, mp3 players, etc. Imagine listening to our phone conversations directly through both ears instead of just one! 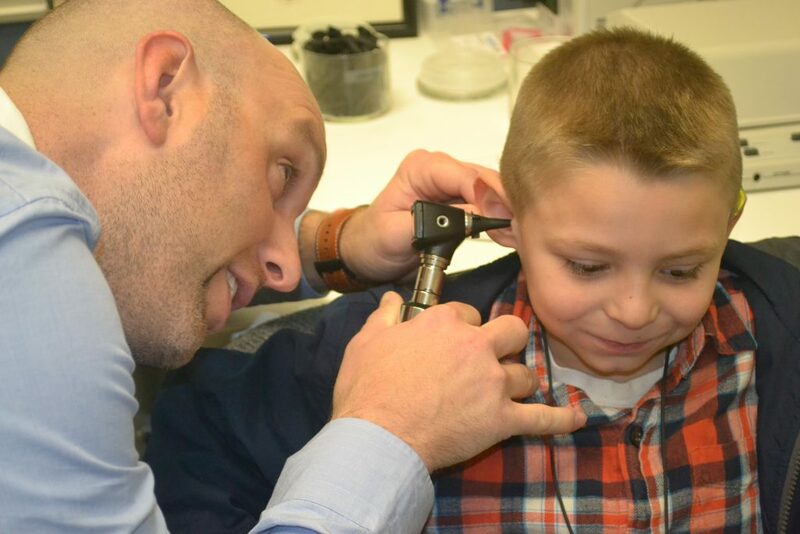 At Charlotte Speech and Hearing Center (CSHC), we provide access to superior speech-language and hearing services that empower and transform lives. Charlotte Speech and Hearing Center is a 501(c)3 nonprofit. All donations are tax-exempt.